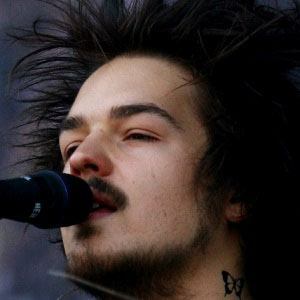 Famous as a vocalist, guitarist, and co-founder of the German folk band Milky Chance. The band released "Stolen Dance," their first number one single, in early 2013. Shortly after its Fall 2013 release, Milky Chance's debut album, Sadnecessary, rose to a Top 15 position on German music charts. Before forming Milky Chance, he was the bassist for a jazz ensemble called Flown Tones. His band's first full length recording received the 2015 European Border Breakers Award for Best Album. He and his Milky Chance collaborator, Philipp Dausch, met while attending high school at the Jacob-Grimm-Schule in their hometown of Kassel, Germany. The band has recorded some of their music at Clemens' parents house. Milky Chance performed at the 2015 Coachella Valley Music and Arts Festival, which was headlined by Jack White.